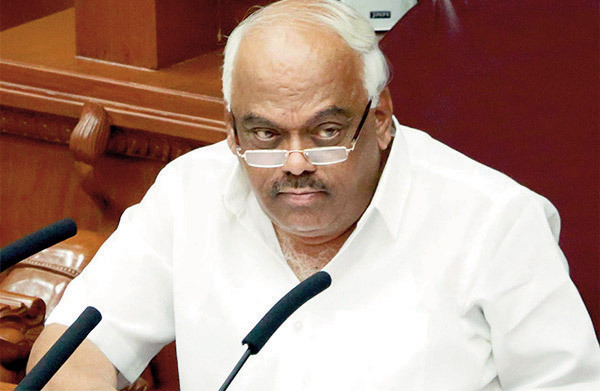 Ramesh Kumar When Karnataka Speaker Ramesh Kumar expressed concern over public money going waste following the abrupt adjournment of the seven day budget session sine die, without any debate, he was only echoing the feeling of disgust that the over one crore people of the state felt. For, with over 156 of the 176 taluks reeling under severe drought, the expectation was that the government and the opposition parties would discuss the severity of the problem and to see how best the farmers could be helped. Instead, the treasury benches and the opposition got embroiled in an audio tape controversy in which allegations of horse trading and attempts to compromise the dignity of the Speaker, became the core issue. R V Deshpande The severity of the drought and the accompanying problem can be gauged from the statement of revenue minister R V Deshpande. He had told newsmen that the state had suffered an estimated loss of Rs 20,000 crore on account of drought in the kharif season. He was also quick to add that of the 31.8 lakh hectares that came under rabi cultivation, sowing had been undertaken in only 26 lakh hectares. Similarly, the sowing was limited to seven lakh hectares out of 73 lakh hectares during the kharif season following deficit rain. Under the circumstances the rage felt by the common man at the repeated disruption and ruckus in the state assembly , was understandable. The very people they had elected to represent them in the assembly and to help in addressing their grievances, were shamelessly indulging in a disgusting show of power play. All this was happening even as the farmers remained uncertain about the tall promises chief minister H.D. Kumarswamy had made to waive their crop loans. B S Yeddyurappa It would not be wrong to blame the power hungry BJP state president, B S Yeddyurappa , 75, for initiating the current problem. The BJP’s fond hope was that more number of people would be swayed by it into deserting the Congress , leading to the coalition’s figures falling drastically. 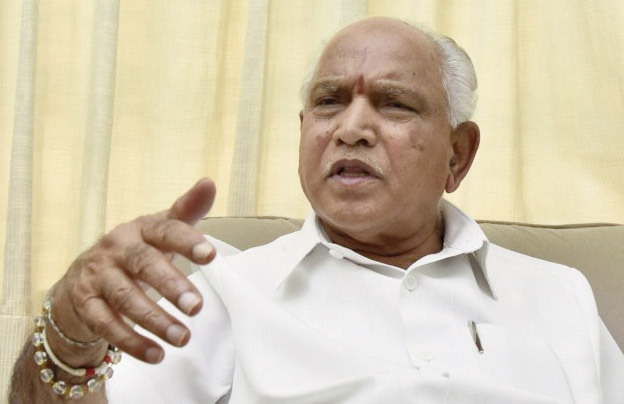 The BJP, rather Yeddyurappa, in particular, hoped to use that opportunity to strike hard at the Congress which had 80 members in a 224 member assembly with its alliance partner, the JDS, accounting for 37. Yeddyurappa hoped that with his 104 BJP members he would be able to call the shots, even bring down the coalition government successfully once the overall size of the combine was reduced to under 113, the magic number for a simple majority. Post 18 January, also saw the oft repeated resort drama come to the fore with both the Congress and the BJP using the same means to herd their members together. If the BJP shepherded its legislators at a Gurugram resort, the Congress did so at the one near Bengaluru itsef. When the budget session started , the BJP utilised the opportunity to create enough ruckus to force governor, Vaiju Bhai Vala ,to cut short his customary address to the assembly midway. 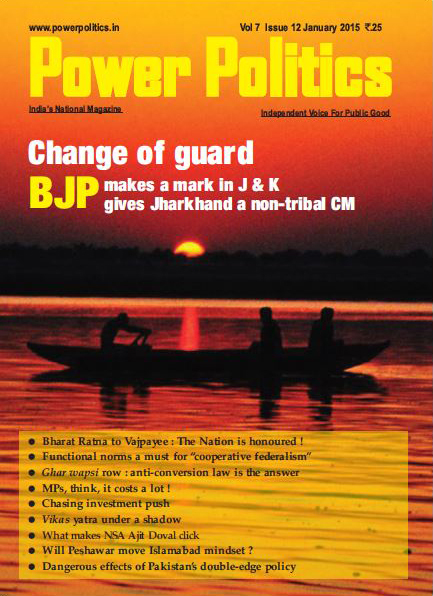 The BJP wanted to prove that the alliance did not have the numbers to retain power. B S Yeddyurappa That , was not to be as the wily chief minister, H D Kumaraswamy, pulled a fast one by exposing BJP’s alleged attempt to induce one of the JDS legislator’s to defect. It all started around 9 on the morning of February 8 ,a few hours before Kumaraswamy was set to present his second budget in 10 months as leader of the ruling JDS- Congress combine. He suddenly convened a press conference at his official residence that day to release what turned out to be an explosive audio tape in which a voice that sounded like that of Yeddyurappa, could be heard offering inducements worth Rs 25 crore to lure JDS MLA,Nagangouda. In the drama that unfolded all these months,it is the BJP which has come out poorly as its brazen attempts to topple the government have failed repeatedly. Never mind the questionable means which allow the party to offer or seek to offer huge sums to the Congress and JDS legislators with the fond hope of making them desert their parent parties. The offer was being made to Sharangouda, son of the MLA . 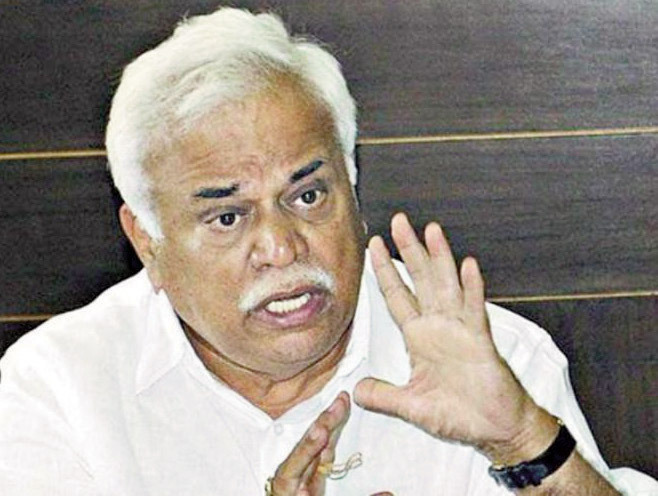 Another BJP legislator , S Naik, allegedly,could also be heard in the audio joining Yeddyurappa. This apart, the audio had a conversation where unidentified people could be heard even talking about having successfully compromised the Speaker for over RS 50 crore. This was the cue for mayhem to break out in the assembly with the Congress and JDS MLAs cornering the BJP and its leader with the Speaker also taking umbrage at attempts to compromise his name and the august position. A cornered Yeddyurappa soon realised that his party’s game was all but up. After initially throwing a challenge to say that he would resign from politics if the tape proved genuine, he made a sudden turnabout and admitted that the voice in the audio clip was indeed his. He did assert though that the leak was selective and doctored, a charge Kumaraswamy vehemently denied. Along side, the Speaker also demanded that a Special Investigation Team be set up to probe the genuineness of the tapes where at least references to him had surfaced. 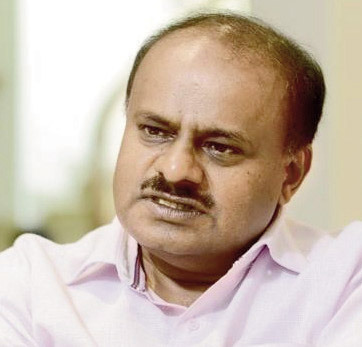 Predictably, this was the cue for Kumaraswamy to agree, in the process leading to charges ,counter charges and allegations against the Congress ,JDS and the BJP members, respectively, from surfacing.The ensuing din and noise led to the assembly being adjourned though not before the presentation of the budget in a house which was bereft of the opposition. For the worried Congress, there was a lot to cheer as its truant legislators returned to the parent fold, even if a little embarrassed. While it did lead to some rejoicing in the party, it also highlighted the struggles that the Congress faces especially as the four angry legislators were annoyed at being sidelined when it came to ministership. This is a problem the Congress continues to grapple with today, notwithstanding its temporary sigh of relief. This disgruntlement also allowed the BJP to make an abortive attempt at poaching. The developments proved one thing. In the drama that unfolded all these months,it is the BJP which has come out poorly as its brazen attempts to topple the government have failed repeatedly. Never mind the questionable means which allow the party to offer or seek to offer huge sums to the Congress and JDS legislators with the fond hope of making them desert their parent parties. While it is not clear whether Yeddyurappa had the full backing of his high command to revive “operation Kamal” to lure opposition legislators, the fact is that the drama has only made matters worse for the BJP. More so, with the Lok Sabha elections barely a few weeks away.